Your exhibition attendance took months to organise and execute, but do you really know if it was worth the investment? Notoriously something that can be often overlooked, understanding the ROI of your exhibition is crucial for your next year’s forecast and budget. Exhibition stand specialist, Quadrant2Design, outline how to effectively measure your ROI at your next trade show. If you’re not a “math whizz”, the idea of potentially muddling through screens of data can be daunting. But, fear not, with a clear strategy optimised to unearth the numbers and findings that matter, finding out the ROI of your trade show needn’t be a headache. Before we can dive into how we’ll seek to measure the success of your exhibit, you need to be 100% clear of your objectives and goals. There’s no point in succumbing to, “just getting your name out there” before the event, and then looking to pull a comprehensive report once the show closes. Where in the business did the directive to attend the event come from? Is it just “something that you’ve always done”? Are you looking to promote a specific product or service? Who is your audience at the exhibition? What are the expectations internally from attending? Are your competitors attending? What are they likely to be seeking to achieve? What is the #1 reason to attend? Increase leads, brand awareness, retain current clients, etc. Once you’ve outlined why you’re attending, you can start to understand which metrics and results you’ll want to monitor. Once you’ve outlined what you’re looking to achieve in your next outing, it’s wise to reflect on if the exhibition meets the criteria. Remember the audience of direct to consumer exhibitions will greatly differ from those attending a trade-show. Ensure that you’ve taken into consideration who else is attending – is it for your industry or your target audience? Be sure to take the opportunity to study and interact with other vendors at the exhibition, too. Trade shows are a great time to dive into your industry and take learnings to enhance your own product or service. Attendee satisfaction – To pack a punch at your exhibition, you’ll need an exhibit that stands out in a hall of companies vying for attendee footfall. 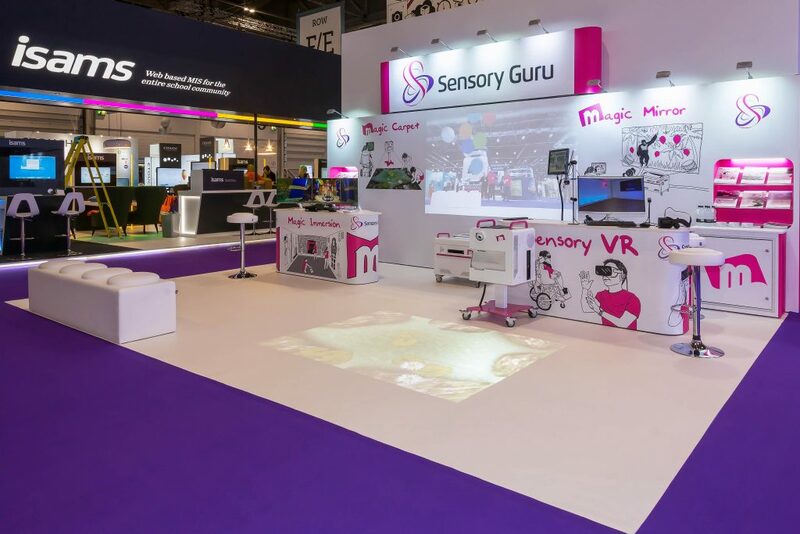 Once your visitors are on your stand, you’ll want to know what they’re thinking and feeling! And, where are people most likely to sound-off their inner-most thoughts? Social media! Be sure to leverage your social media by curating polls and inviting comments from your community at-large on your exhibit. Media and press coverage – If you’re launching a new product/service at the show, you’ll want to collate any press coverage. These clippings provide scope for the sentiment of your reveal and how the industry reacted. Sales and/or pre-orders – This is a usual suspect on event ROI, but important none the less. If you’re looking to directly sell, be sure to fully capture details of sales. You can also compare this data to historic figures to gauge the success of your exhibit and to suss out which shows are more beneficial to your business than others. Unique visitors – How many new eyes? Average vs new sessions – Compare it to previous tangible data. Bounce rate – are they further discovering your website? Devices – Are they viewing from a mobile? Perhaps inside an exhibition hall… hmmm! Collecting data – If you’re collecting names, mobile numbers and email addresses to add to your subscriber list, be sure to check-in on how many people unsubscribed upon becoming a subscriber, your open and read rates and how many converted to sales. Social media – Its own beast! As well as dipping into various other areas of your report, social media can be used effectively in other ways. It’s always in our pocket, and just because the day is bound to busy, it won’t stop attendees tweeting or snapchatting their journey. Likes, comments and shares are all indicative of the success of your posting, so be sure to showcase engaging elements of your trade show exhibit to your customers. You’ll want to tell them where in the hall you are, and provide visual stimulus for them to react to. If you’re measuring eyeballs on stand, consider hosting a competition on your Twitter/Facebook to draw the crowds in, “show this tweet at our stand to win X”. It could be something as simple as a bottle of water or sweets. 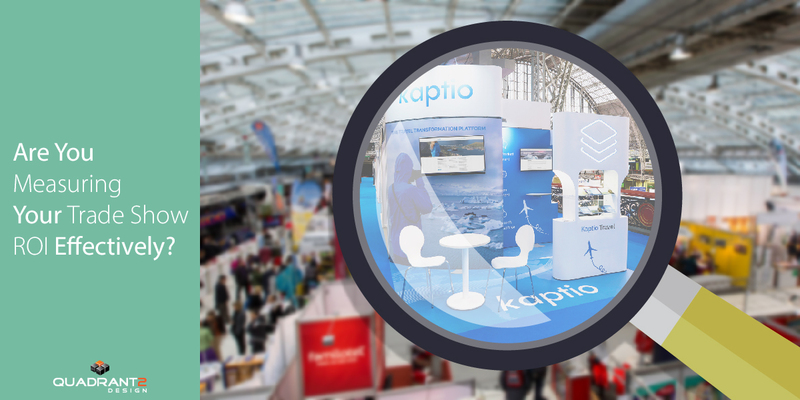 You’ll want something to entice busy show go-ers to your stand, and an easy metric to track the success of. Do be sure to also think outside “usual” metrics, for example, if your attendance at an event has the aim to get your products into as many hands as possible, you may choose to measure how many demonstrations you held. Likewise, if you’re looking to collect data for online marketing campaigns to further educate around your products and services, you may host a competition on the stand that prompts visitors for their contact details and then measure part of your success on completed applications. Arm your stand staff with simple questions to ask your visitors when talking through services and products. “How did you find us?” will give you solid indications of which of your marketing efforts are making an impact. 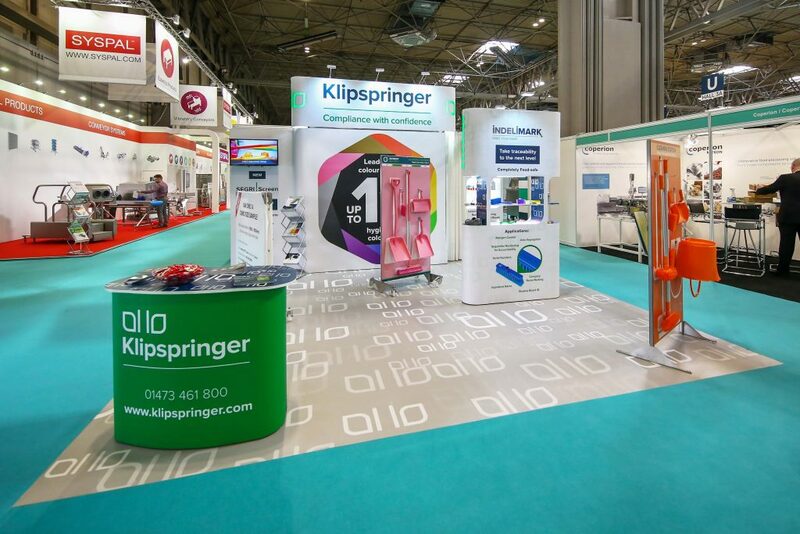 Treat your exhibition as you would any other marketing activity, whether it’s a sponsored campaign, advertising or social media. They all have goals and metrics to measure the outcomes and all these findings ultimately decide on the worth of the activity and what is next for that channel. The Quadrant2Design team design and build exhibition stands exclusively using the Swiss-designed Prestige Events System. Their Freedom2Exhibit® plan increases operational flexibility and minimises cost of exhibiting. For your free design proposal drop them an email at designteam@quadrant2design.com or call them on 01202 723500 for more information.